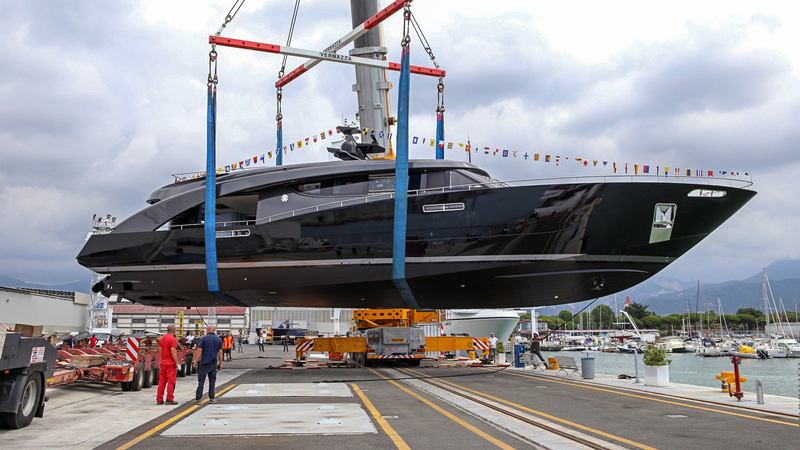 Roberto Cavalli took part in the launch ceremony of his new 88-foot yacht Freedom at the CCN shipyard in Carrara, Italy, last week. He designed the entirely bespoke yacht, which is part of CCN’s Fuoriserie line, with his friend and designer Tommaso Spadolini. 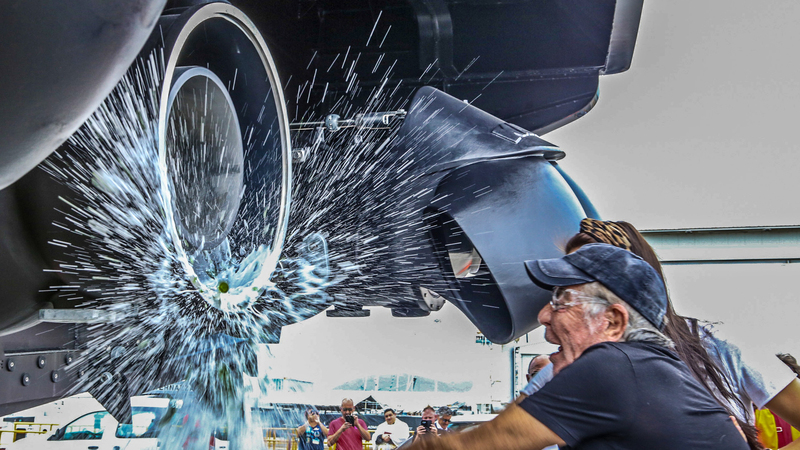 Freedom features an aluminium hull and superstructure and reaches a maximum speed of 40 knots with its three water-jet engines. CCN followed Cavalli’s request to enhance maximum contact with the sea, while still ensuring privacy. In addition, the exterior and interior will reflect the fashion designer’s personality and design traits. Moving into the interior, the full-beam master stateroom is located behind the helm station. Making the most use of sunlight while on board, a central skylight allows a pop of natural light inside, with the option of concealing curtains across the cockpit to allow for shade and privacy when so desired. Down on the lower deck are two guest cabins and crew cabins. Further features include a private area with pilot seat, and space aft for the tender to be stowed.